It is really special day for you when your kid switches from the crib to a kid bed. And just as you were worried before your baby’s birth about choosing the correct crib mattress, you will be experiencing similar feelings now when you are up to purchase the mattress for your growing toddler. You are now going to choose the right firmness of mattress for your toddler to help them get a good night sleep and get the right amount of comfort and support that they need. Mattresses which are highly fluffy conform to your child’s face and smother them. Thus, it is important that you choose a firm mattress for your toddler rather. But surely toddlers do not need the similar amount of mattress firmness as they needed as babies. The firmness of mattress is done using the Indentation Load Deflection rating which runs on a scale of 12 to 50. 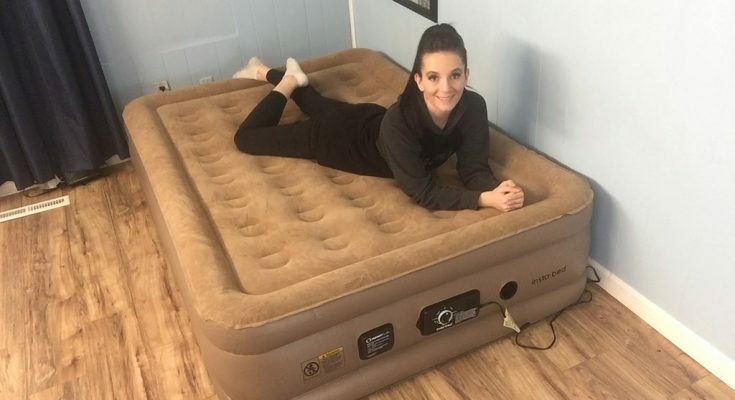 And mattresses above the rate of 36 signify a firm mattress. You can also use a crib mattress as your toddler mattress, but it is very important to check out its condition, health, hygiene and impact on the child before you go for it. It is very important for a toddler mattress to be comfortable enough to allow your baby to sleep calmly. If your baby has difficulty in sleeping, then you should go for a little softer mattress. Mattresses are made of memory foam, cotton, wool, coil and spring. However, it doesn’t matter what material kind you choose for the mattress till that material fulfils your requirement of firm mattress. But every mattress filler has its own benefits which other will not give. For instance, cotton mattresses offer breathable material that is best for kids with certain allergies. Opposite to it, wool mattresses have warmth but they may add to your kid’s allergies. Coil and spring mattresses render a lot of support and comfort to your baby and memory foam lastly adds support and durability to your mattress. Toddler mattresses are designed specifically for toddler sized bed which are randomly of same size as crib. Being of similar size, you have dual sided mattresses to offer firm side for infants are well growing toddlers. Going for twin or XL mattresses render appropriate size for toddlers only when they are teamed with the right bed frames. A waterproof mattress covers the mattress of your toddler and prevents it from absorbing moisture or urine or stain. It allows you to do instant clean ups during the time of emergencies. Waterproof covers also helps in maintaining the firmness of the mattress material and avoid breakdown of the mattress. One needs to wait to get the toddler mattress till their baby is at least 1 year of age. Most of the parent wait till their baby tries to come out of the crib because at this point, the crib isn’t safe for the baby anymore. This is around 18 months of the age of the baby. You can also wait till the time you begin the potty training of your child to get the toddler mattress for him/ her. The perfect toddler mattress should adhere to all safety standards and ventilate well along with flammability. Along with it, it will be highly recommended if the mattress is waterproof as it helps during diaper leakages and potty accidents. You have two kind of crib mattresses- innerspring and foam and each one is appropriate for toddlers and infants equally. Both the mattresses are highly firm and prevent infants from sinking inside. Most of the parents go for a crib mattress on a toddler bed till their child reaches the age of 2 and is ready to shift to the big bed. But, a toddler still needs to get the right firmness and mattress for him and thus getting a toddler mattress at the right age is very important. A toddler bed is just like a normal bed except that it has lower height and come with side rails. Most crib mattresses adhere to toddler bed norms. Some cribs also render the option of getting a convertible mattress. These mattresses give higher firmness to infants on one side and are softer on the other side. The softer side is recommended for toddlers and is made of memory foam, standard foam or springy. Convertible mattresses can easily be converted to a toddler bed but they are expensive too. Often parents simple choose to get their baby a twin bed where he can and put rails on their side when needed. While buying a regular mattress, you should look out for a softer and firm mattress decked with innersprings. Softer mattresses work well for your toddler’s body. With these tips, you can get the right firmness of toddler mattress for your toddler.